This file photo shows a U.S. Citizenship and Immigration Services office. The Trump administration is taking the unusual step of hunting for evidence of crimes committed by Haitian immigrants as it decides whether to allow them to continue participating in a humanitarian program that has shielded tens of thousands from deportation since an earthquake destroyed much of their country. The inquiries into the community's criminal history were made in internal U.S. Citizenship and Immigration Services emails obtained by The Associated Press. They show the agency's newly appointed policy chief also wanted to know how many of the roughly 50,000 Haitians enrolled in the Temporary Protected Status program were taking advantage of public benefits, which they are not eligible to receive. The emails don't make clear if Haitian misdeeds will be used to determine whether they can remain in the United States. The program is intended to help people from places beset by war or disasters and, normally, the decision to extend it depends on whether conditions in the immigrants' home country have improved enough for them to return. But emails suggest Homeland Security Secretary John Kelly, who will make the decision, is looking at other criteria. 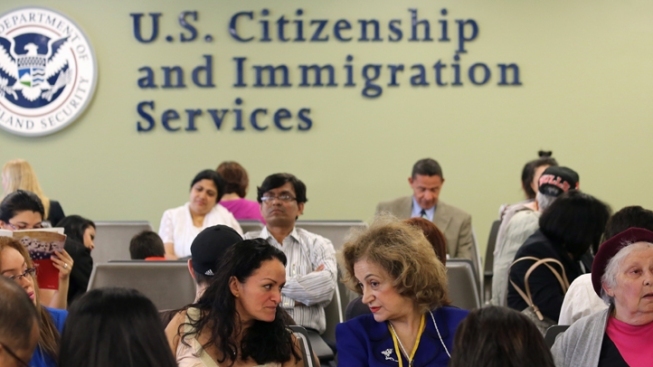 "I do want to alert you ... the secretary is going to be sending a request to us to be more responsive," Kathy Nuebel Kovarik, the USCIS head of policy and strategy, wrote on April 27. Addressing the inability of agency employees to gather the requested information about wrongdoing, she said: "I know some of it is not captured, but we'll have to figure out a way to squeeze more data out of our systems." Attorney General Jeff Sessions unveiled a series of new guidelines during a tour of the U.S.-Mexico border Tuesday, directing the country's prosecutors to prioritize immigration crimes. The request for criminal data for an entire community is unorthodox. 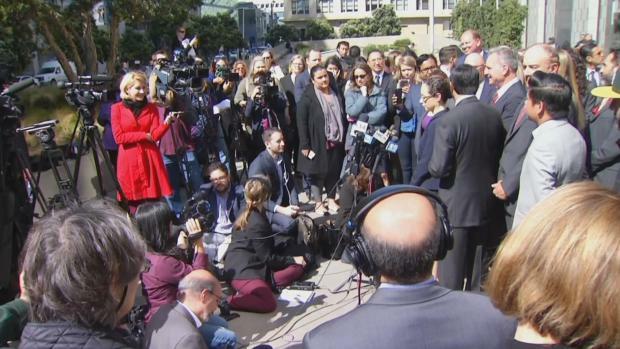 The law doesn't specify it should be a consideration for Temporary Protected Status and the government has never said it would use criminal rates in deciding if a country's citizens should be allowed to stay under this program. Introducing new criteria is likely to cause consternation among law-abiding Haitians who may feel they are being penalized for the wrongdoing of their compatriots. But the request fits in with President Donald Trump's broader, tough-on-immigration focus that is a core demand of his political supporters. He has enhanced efforts to arrest people living illegally in the United States and sought, unsuccessfully so far, to suspend refugee arrivals and temporarily block visitors from seven Muslim-majority countries. 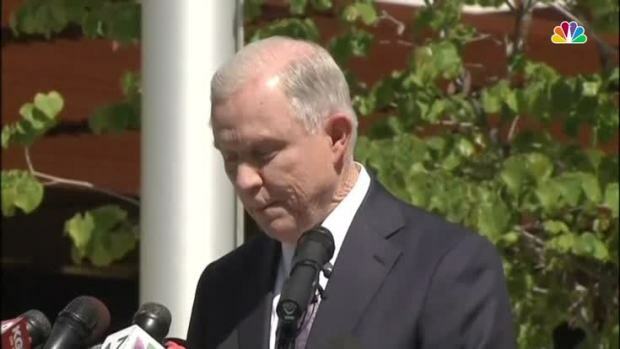 He has accused those in the U.S. illegally of fueling criminality in the U.S. It is unclear if the agency is asking such questions about other recipients of the temporary protection, including immigrants from Honduras and El Salvador. The Homeland Security Department said Kelly has not made a final decision about Temporary Protected Status for Haiti and declined to comment on the process. Temporary Protected Status is intended to be just that, temporary. The Obama administration included Haiti in the program shortly after the January 2010 earthquake that killed as many as 300,000 people and devastated schools, hospitals, homes and even entire neighborhoods. Since then, Haitians have been eligible to stay regardless of how they entered the United States — legally or illegally — as long as they were residing in the U.S. before Jan. 12, 2011. Eligibility for Haitians has been extended several times and is set to expire July 22. The Trump administration must decide by May 23 so that it can provide 60 days' notice about its plans. President Donald Trump's executive order withholding funding from communities that limit cooperation with immigration authorities applies to a small pot of grant money, not the hundreds of millions of dollars that local governments say is at stake, a lawyer with the Department of Justice said Friday. Damian Trujillo reports. USCIS' acting director has recommended letting the program expire. In an April 10 memo first reported by USA Today, James McCament said Haiti is no longer in crisis despite its poverty and political instability. However, he wants to allow the Haitians to stay until January so they have time to make arrangements to voluntarily leave. If they don't depart the U.S. by then, the government could move to deport them. Still, Homeland Security's Kelly has the final word. The emails inquiring about misdeeds were sent from April 7 to May 1. In her first week on the job, Kovarik, the policy chief, asked officials how often Haitians with temporary status have been convicted of "crimes of any kind," and how many have taken advantage of public benefits. She asked for that information in four separate emails. She also asked how much money Haitians have sent home and how often they've traveled back to Haiti. Left unsaid is that frequent travel could suggest improved conditions. "Please dig for any stories (successful or otherwise) that would show how things are in Haiti - i.e. rebuilding stories, work of nonprofits, how the U.S. is helping certain industries," Kovarik wrote on April 28. "We should also find any reports of criminal activity by any individual with TPS. Even though it's only a snapshot and not representative of the entire situation, we need more than 'Haiti is really poor' stories." The emails were largely directed to non-political employees. They responded by saying much of the data were not available or were difficult to find in government records systems. 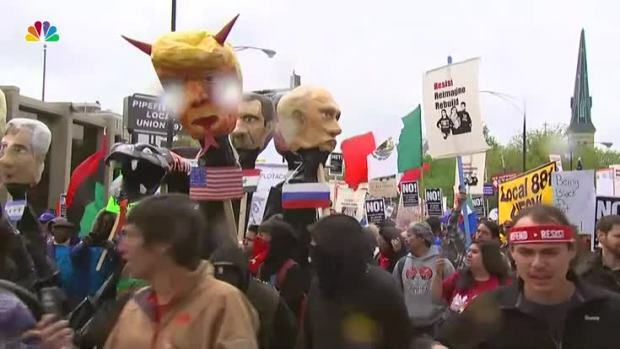 Thousands of demonstrators came together across the United States to bring attention to various causes, including workers' rights and immigration policies. Criminal fingerprint records, for instance, don't generally indicate if a suspect has Temporary Protected Status. And the employees said the public benefits request was almost impossible to answer because TPS participants aren't eligible for most. About the only firm information Kovarik's queries turned up, according to the emails, is that Haiti benefited from about $1.3 billion in remittances from the United States in 2015. Officials said they could only guess how much came from the temporarily protected group, which comprise a fraction of the estimated 954,000-strong Haitian diaspora in the United States. Maria Odom, a former Citizenship and Immigration Services ombudsman who served in the Obama administration, said she was puzzled by the inquiries about criminal activities. She said the government already checks criminal histories of applicants and denies protections to those who've broken U.S. laws. "You should not craft a humanitarian policy based on the few," Odom said.